Although I have had the opportunity to personally connect with many of you over the last few weeks, I want to begin our first newsletter by wishing you all a rewarding and productive 2018! 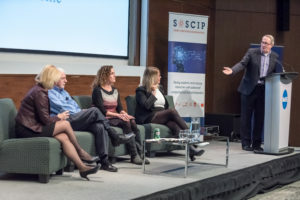 This year will be significant for SOSCIP, and it is already shaping up to be quite an exciting one. Early into the new year, I officially accepted the role of Executive Director with SOSCIP. You can read more about that here. A special thank you to everyone who has reached out with congratulations and kind words. 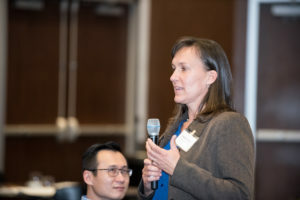 I’m thrilled to take the helm for the next phase of SOSCIP’s evolution. 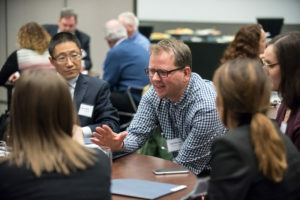 Before the holidays, SOSCIP partnered with the Business/Higher Education Roundtable (BHER) to host Computing in the Real World. 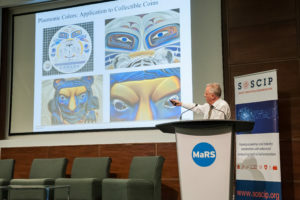 The December 12th event at MaRS offered businesses and researchers from across the consortium and beyond a glimpse of what data science and advanced computing can offer in a rapidly changing environment where new discoveries and technologies are unleashed every day. 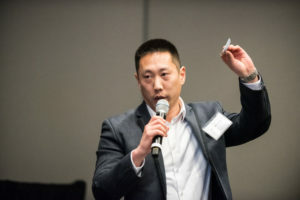 The opportunity to access to SOSCIP’s extensive research and business networks, dedicated technical expertise, and project management support, continues to be a great resource to industry, and I have heard from many of the companies that have important business challenges they wish to overcome with our support. Our team has been working closely with them to develop the partnerships they will need to help solve these challenges. 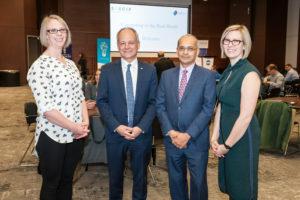 A special thanks to BHER, Business Council of Canada, Mitacs, NSERC and IBM Canada Ltd. for helping make the event successful. Check out our gallery (below) for some of the highlights. In the past few weeks, many of our SOSCIP-supported projects have been making headlines. 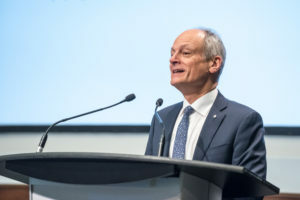 Of particular note, Miovision, a Kitchener-based tech company has recently announced an expansion that will create 275 new jobs in the Waterloo region. 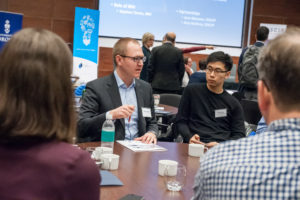 Miovision is working with Prof. Alex Wong at the University of Waterloo on a SOSCIP project to explore how AI can make cities travel smarter and efficiently. Also, Studio 1 Labs was recently featured in BetaKit. Studio 1 Labs is collaborating with Prof. Plinio Morita at the University of Waterloo. Together they have designed an intelligent bed sheet patient monitor that provides valuable and timely information to health care practitioners. 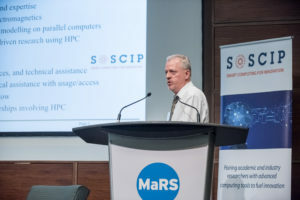 Having faced many challenges in bringing disruptive new products to market, they credit the support of SOSCIP and others for providing access to computational power and establishing important industrial connections. 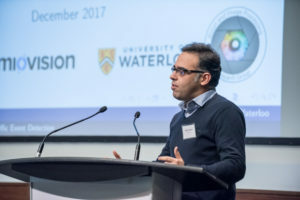 CEO of Toronto-based start-up Cyclica, Naheed Kurji, recently sat down for an interview on the role of artificial intelligence and cloud-based computing in developing new drugs. 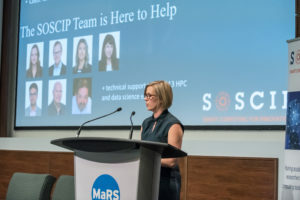 Western University researchers are using SOSCIP’s advanced computing platforms to build a self-healing smart grid. 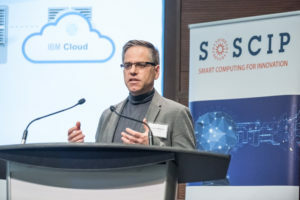 Researchers at Ryerson University have developed the first cloud/mobile app to empower building managers to meet their targets for reducing GHG emissions. 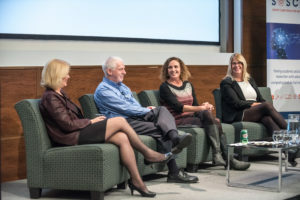 This is an exciting time for SOSCIP but even more so for the Province of Ontario. We are beginning to see great results from many of our projects. Our projects are launching exciting and disruptive technologies and products and our students are landing competitive jobs at high tech companies and making their mark in the world. We have heard time and time again, that this would not be possible without access to SOSCIP’s sophisticated suite of advanced computing tools, project management expertise and operational and technical support. I look forward to celebrating another great and impactful year with the SOSCIP community.